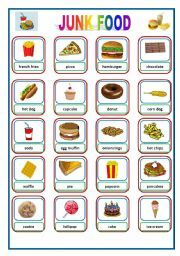 Common and popular junk food vocabulary. 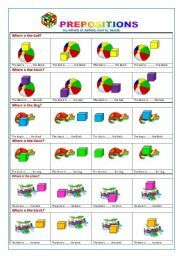 Worksheet to practice and learn about the Olympic Games sports. Match numbers for the pictures and the sports names. Answer key included. 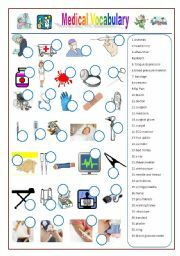 Basic medical/health vocabulary worksheet. Answer key on page 2. 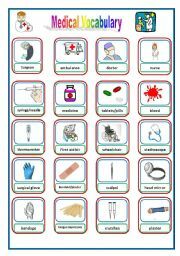 Common medical/health vocabulary to practice. 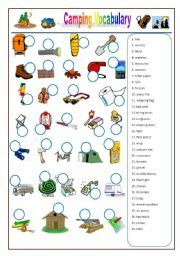 A worksheet to practice "camping" vocabulary. Match the camping pictures with the correct words. Answer key on page 2. A simple worksheet, flashcards or pictionary. Can also use as an easy way to compare 2 pictures - show how a preposition changes when the subject changes. Answer key on page 2. 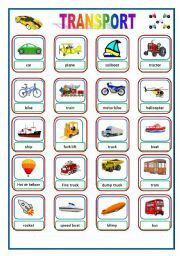 Common and simple transport vocabulary. 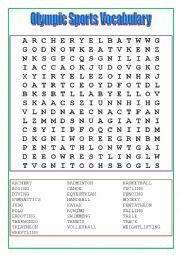 Olympic Games Sports Vocabulary Wordsearch Find and practice Olympic sports words. Irregular f -> ves ending. 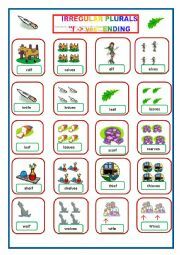 Use for pictionary, pairs, matching, concentration, go fish, Can I have... Hope you enjoy them. 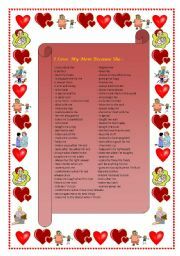 A Poster or Writing prompts for students. PREPOSITIONS Game - Play on-screen. 20 slides. Simple prepositions. Move the box on-screen to match the preposition in the sentence. Answer key for each page. PREPOSITIONS - Move the Ball. Play on-screen. 20 slides. Simple prepositions. Move the ball on-screen to match the preposition in the sentence. Answer key for each page. Common and popular junk food vocabulary. Move tokens on-screen or print and play. Instructions and vocabulary key on page 2. Thanks Isabel for the template. PREPOSITIONS - HALLOWEEN Game - Play on-screen. 20 slides. Move the pumpkins on-screen or print and play. Instructions and answer key for each page. Play on-screen. 21 slides incl answer key for each page. Move the picture/noun to complete the "a..., the...., an..." phrase. When finished, exit without saving and it will reset to play again. Simple prepositions. Move the spider on-screen to match the preposition. Answer key for each page. Halloween vocabulary. Move tokens on-screen or print and play. Instructions and vocabulary key on page 2. Common clothing. Move tokens on-screen or print and play. Instructions and vocabulary key on page 2. Thank you Isabel for the template!!! Move tokens on-screen or print and play. Instructions and vocabulary key on page 2 Thanks Isabel for the template.